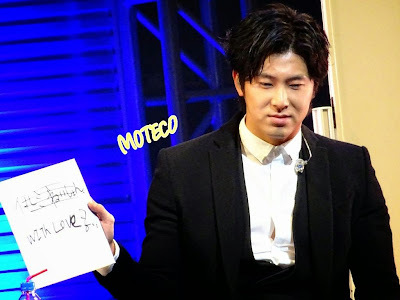 "Yunho drew a deer that looked like his rhino"
Yunho: Have you all bought the album? 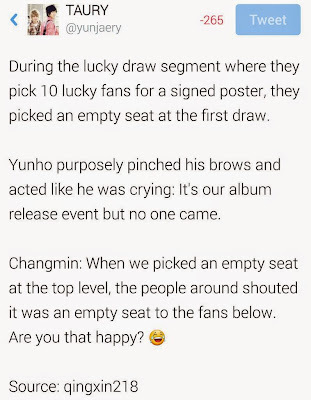 Changmin: They must have, and this is why this event is called the Purchaser Event. 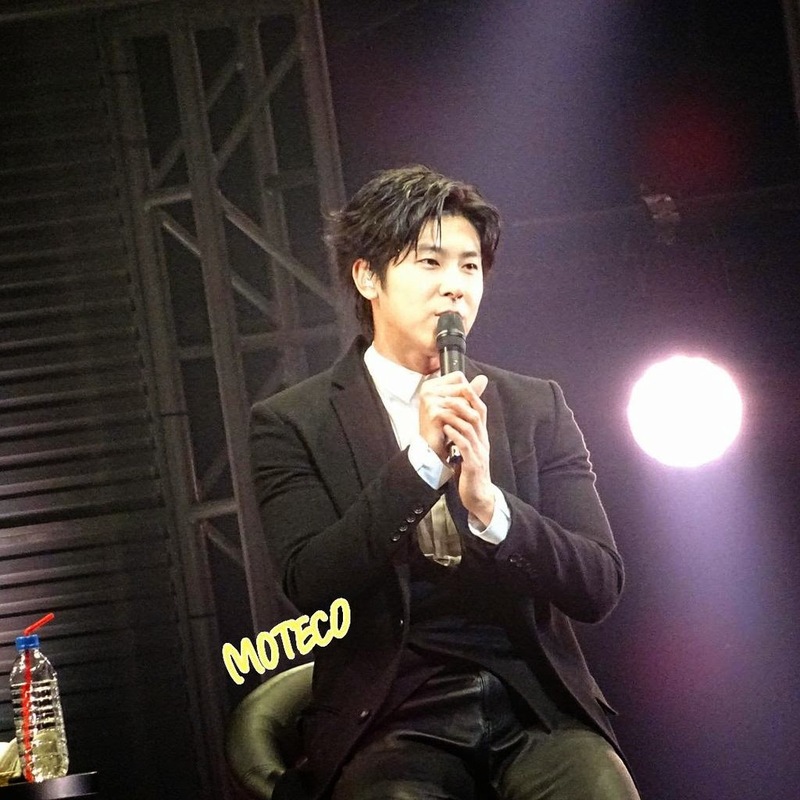 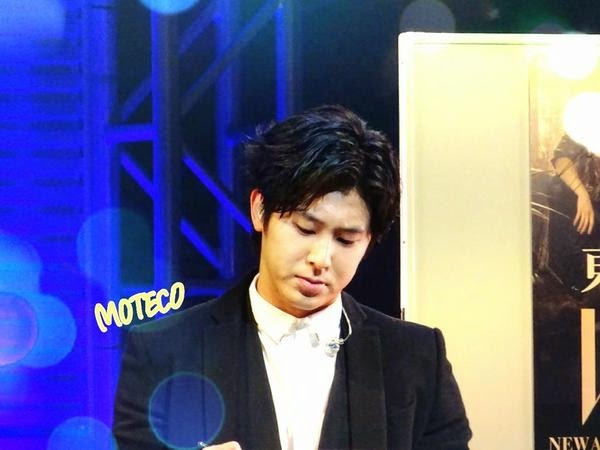 (pero115117) MC: Yunho surprised by a deer is so cute right~ Yunho: No no noo it's not cute! 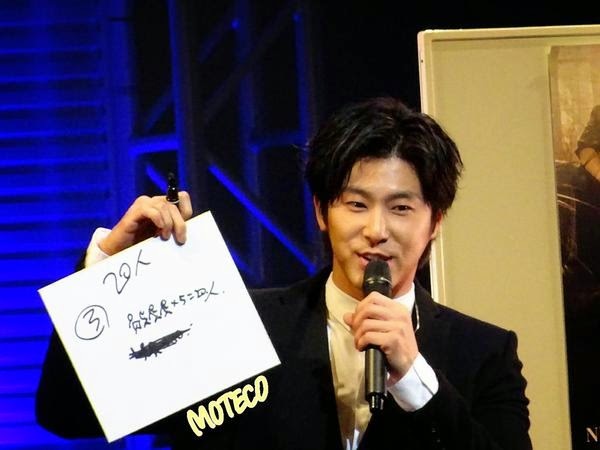 (sim_max218) ~What are you doing yesterday?~ YH: The setlist are already set. 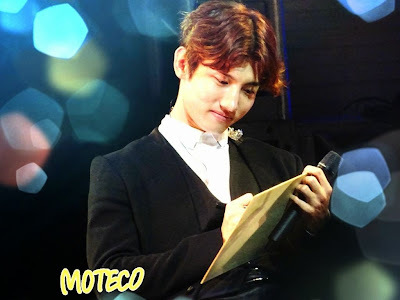 I'm preparing myself since the dome tour will be started next month. 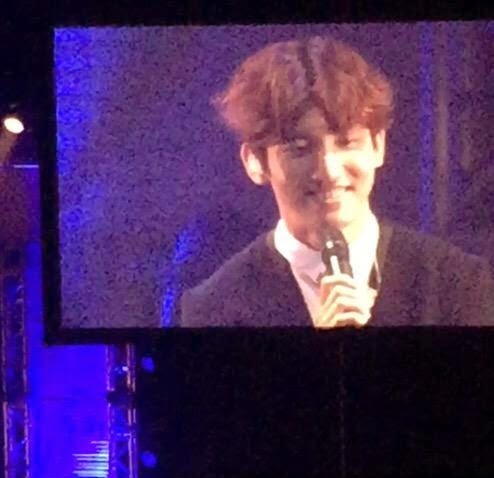 MC: What about Changmin san? 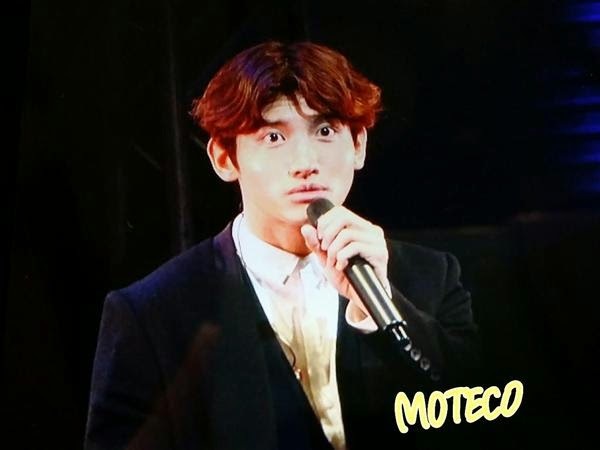 CM: I joined the preparation only when I've been asked. 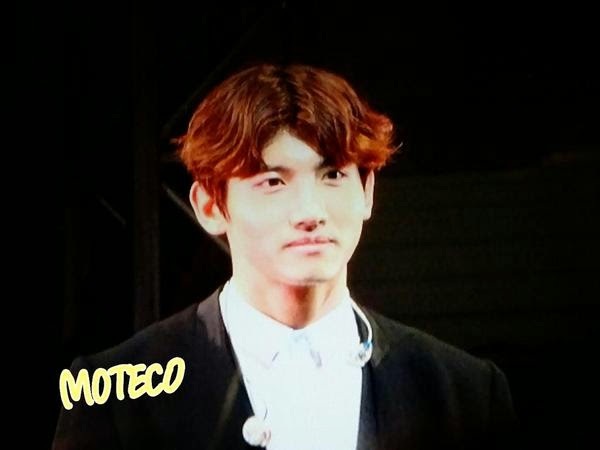 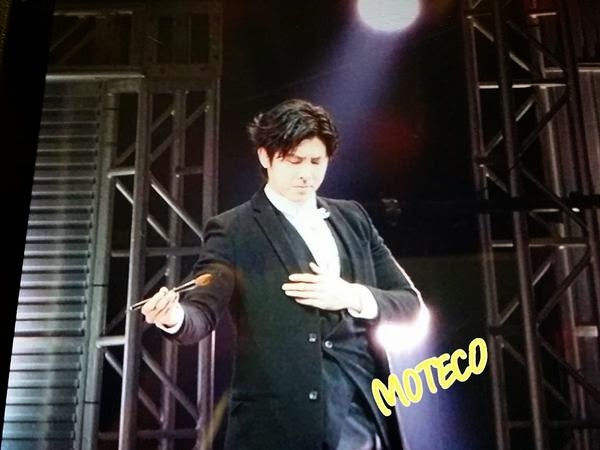 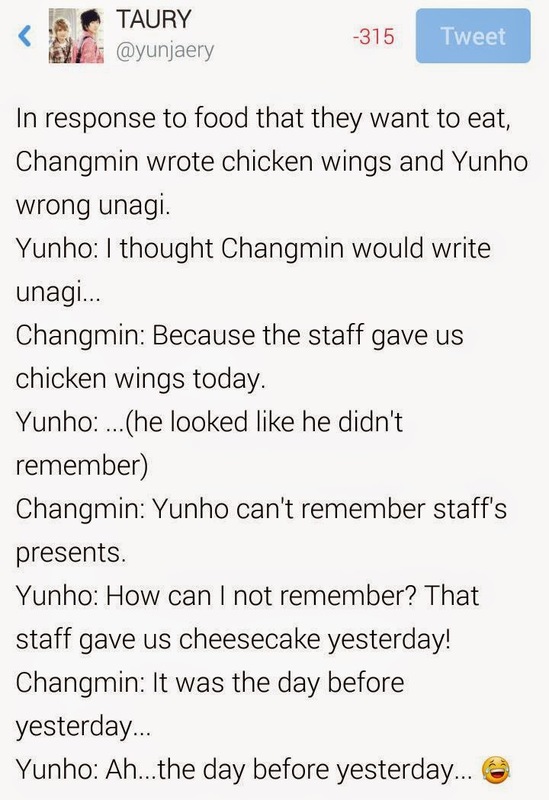 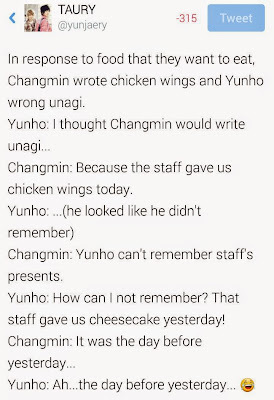 MC: Changmin san, you're a Tohoshinki member too right? 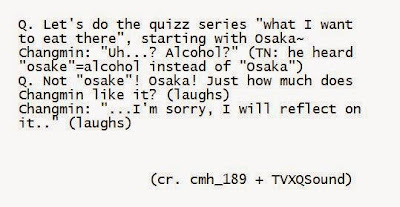 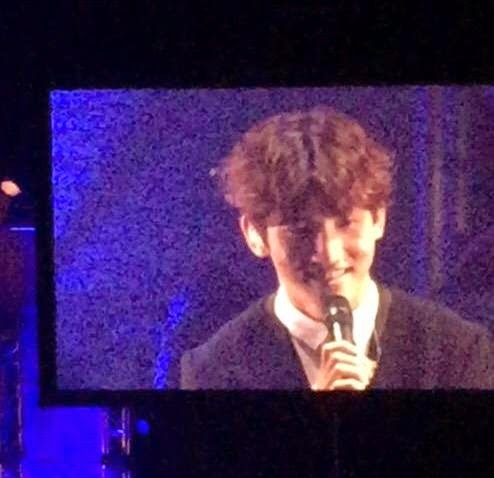 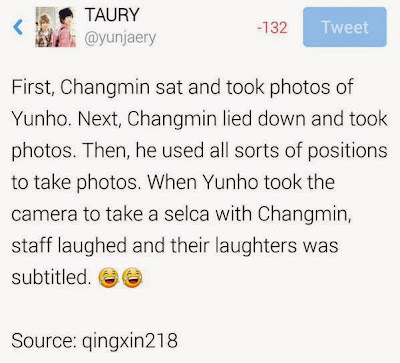 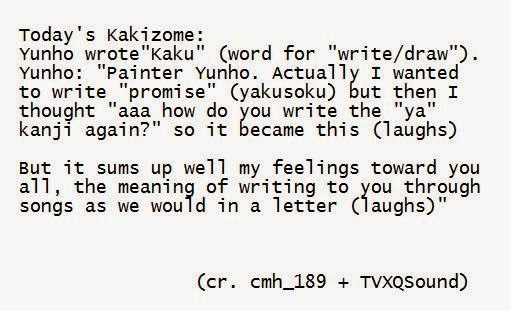 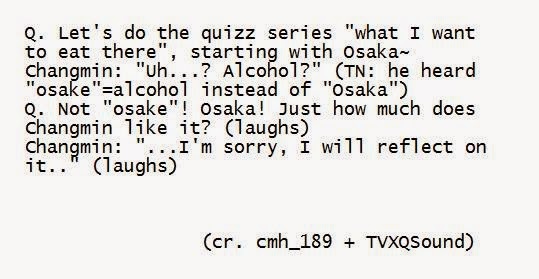 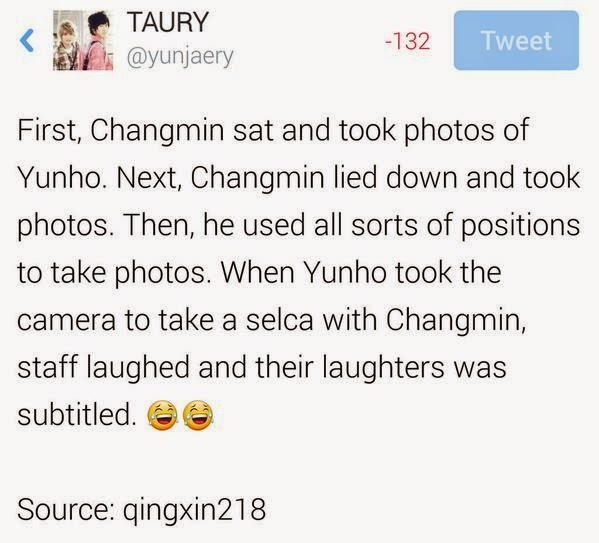 (yukamin0711) First talk - Changmin: firstly please everyone. 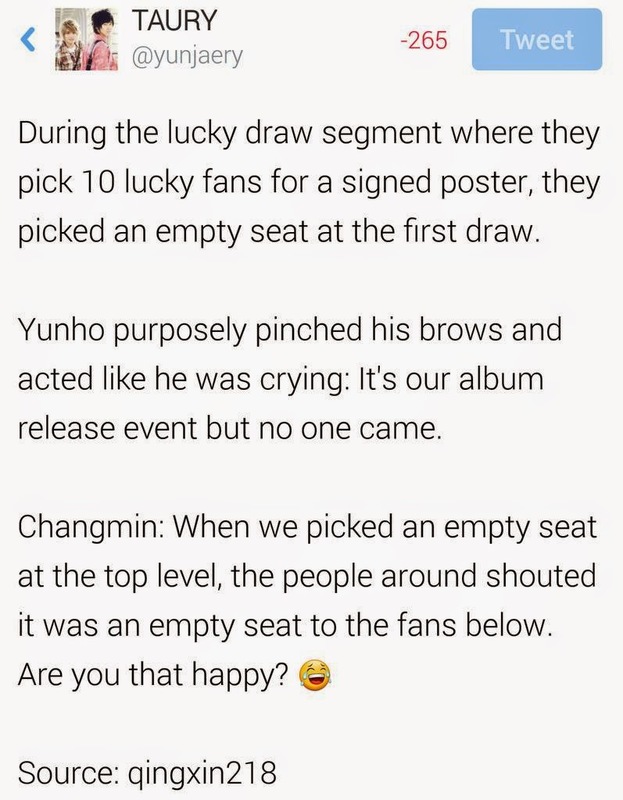 Please sit down! 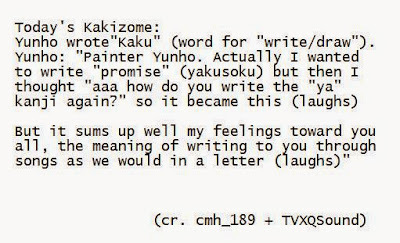 Yunho: yes, bcs this is not punishment game! 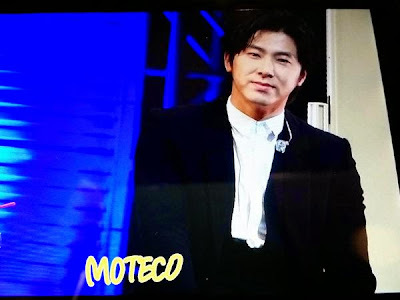 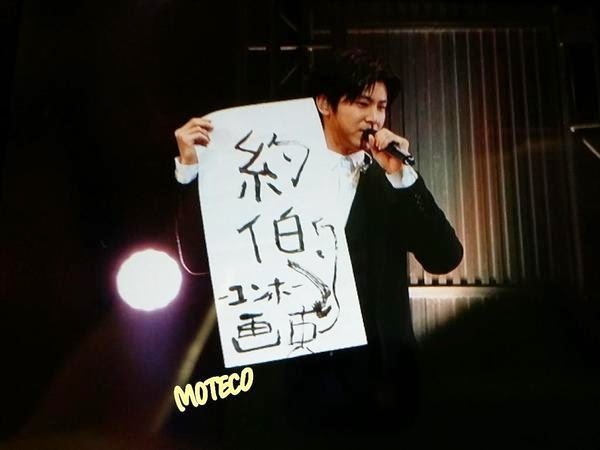 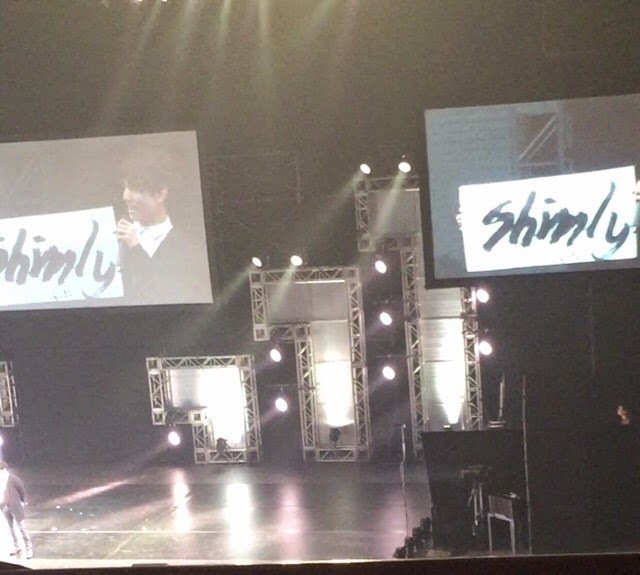 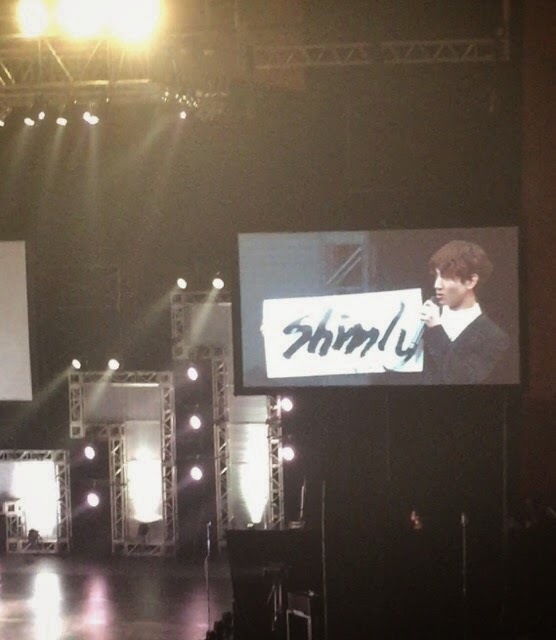 (hiro_kgm) Yunho: Tohoshinki no minasan! 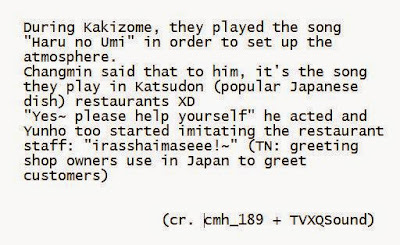 Kon..... (he said wrongly) With this, we (fans) are officially Tohoshinki's third member! What kind of tour would you like to do for your Dome Tour? 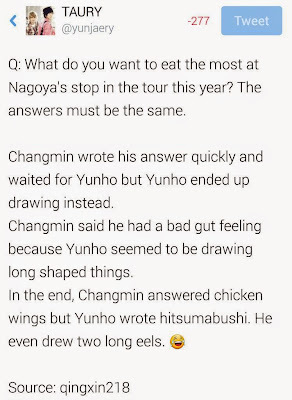 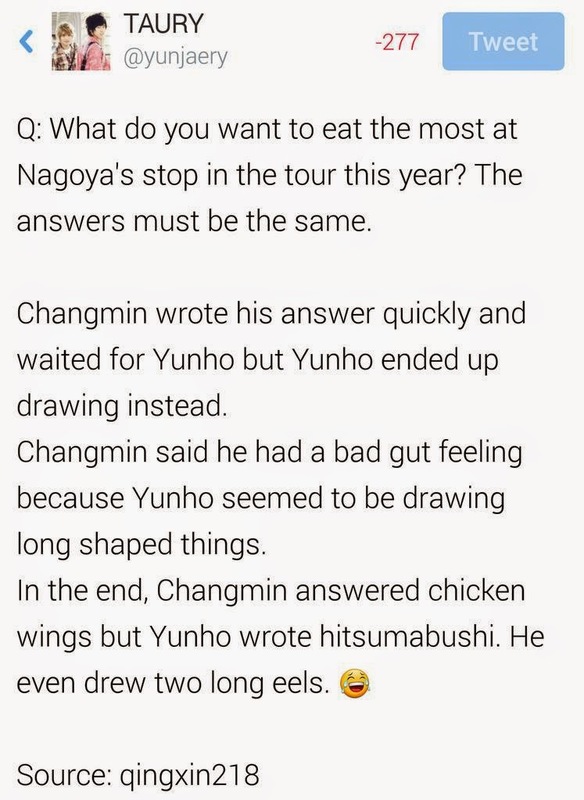 YH: I would like do a tour which is fun and impressive.